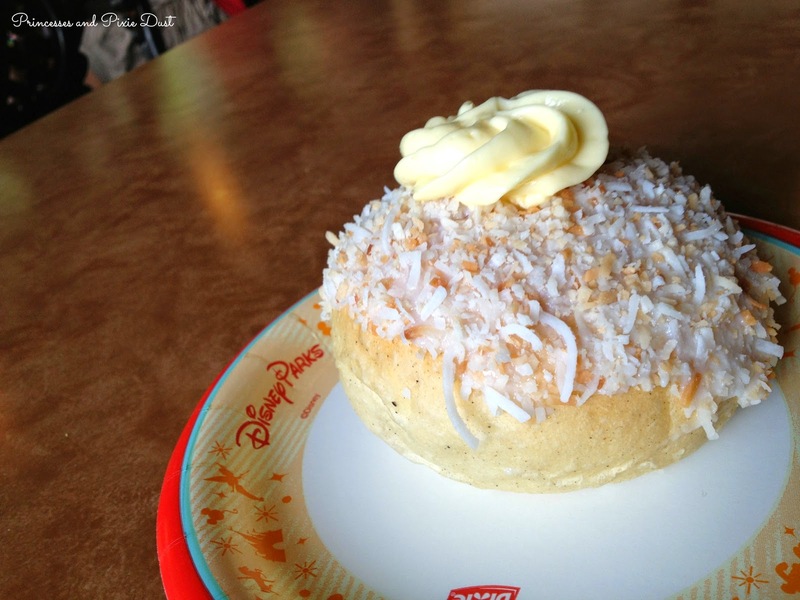 … it is the Epcot delicacy that needs no introduction…. … one snack to rule them all: Norway's School Bread. If you've spent a little bit of time around the blog, you will have seen copious evidence of my obsession with intense love for School Bread. 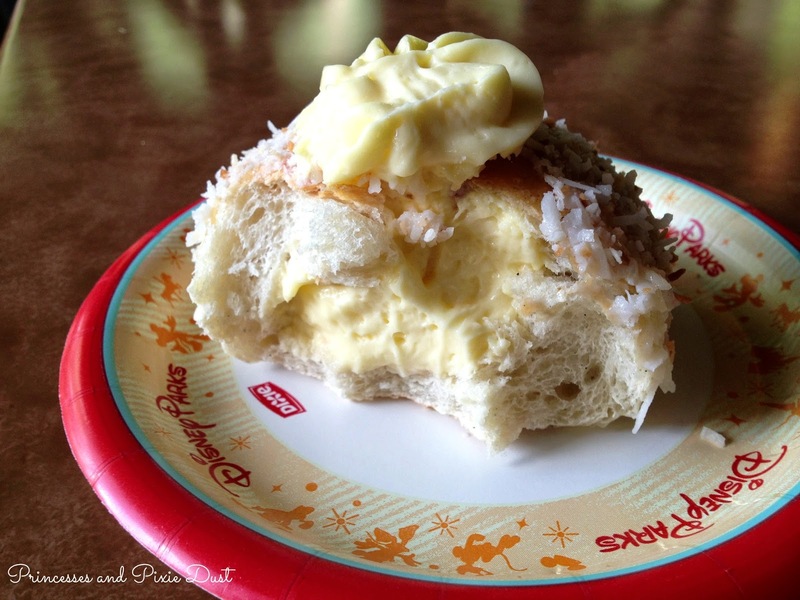 Since tasting it last August, hardly a day goes by that I don't dream of relaxing in Epcot's Kringla Bakeri with a knife, a fork, and this champion of all World Showcase snacks. Seriously- I would eat this stuff every day if I could. Unfortunately, I do not live at Walt Disney World (though my friends and family might say otherwise! ), and thus School Bread and I see each other far too little. So, in an attempt to remedy the lack of School Bread in my life, I tried my hand at a homemade rendition! Around the internet, a Disney-loving baker will find no shortage of recipes for the beloved Norwegian treat. Walt Disney World's recipe can be found on allears.net as well as the Disney Food Blog, but I opted to go with this more traditional recipe that I found on allrecipes.com. (Side note: I have actually tried the Epcot recipe in the past, but my results were less than stellar.) I did make a few tweaks to the original recipe to more closely resemble Disney's version, like using half whole wheat flour and half all-purpose. I also substituted a cinnamon/nutmeg mixture for the traditional cardamom, not for any culinary reason, but because this lazy princess did not feel like tracking it down at a grocery store! 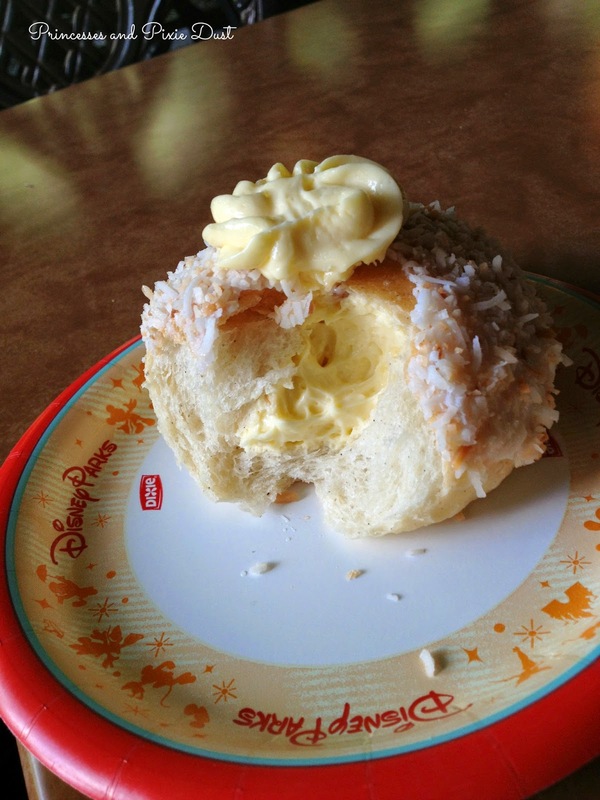 This "skolebrod"recipe isn't a carbon copy of what you'll find it Epcot's Norway pavilion; they're a good bit smaller, the custard filling is a tad thicker, and the spiced roll provides a heartier bite than the softer one found at Kringla. It does, however, produce one amazing, mouthwateringly delicious pastry that's perfect as a dessert, an afternoon snack, or even as a sweet breakfast treat! In a large bowl, dissolve the yeast in milk and allow to proof for 5 to 10 minutes. Add melted butter, whole wheat flour, sugar, cinnamon and nutmeg and stir until incorporated. Stir in all-purpose flour one 1/2 cup at a time, beating well after each addition. After the dough has come together, turn it out onto a lightly floured surface and knead until smooth and pliable. Lightly spray a medium-large bowl with cooking spray and transfer dough to bowl. Roll dough around to lightly coat with oil and cover the bowl with a damp towel. Place bowl in a warm place and allow dough to rise until doubled in volume (about 1 hour). After dough has risen, roll out into a log and divide into 24 equal pieces. Roll each piece into a ball and place on a lightly greased baking sheet. Cover rolls with a damp cloth and allow to rise until doubled in size (about 20 to 30 minutes). Preheat oven to 375 degrees Fahrenheit. Brush risen rolls with beaten egg and bake in preheated oven for 8 to 10 minutes (rolls will be lightly browned with pale sides). Place rolls on a wire rack and let cool completely. For Glaze and Topping: Reduce oven temperature to 350 degrees. Spread several handfuls of coconut onto a foiled baking sheet and toast in oven until golden brown. For the glaze, whisk together confectioner's sugar and milk to desired consistency. Transfer coconut and glaze into separate bowls. For Filling: In a mixing bowl, whisk together egg yolks, sugar, and cornstarch until combined. Whisk in two tablespoons of milk. Place remaining milk and vanilla into a medium saucepan and bring to a boil. Once boiling, remove from heat and slowly add to egg mixture while whisking continuously. Filling (cont. ): Once combined, return mixture to saucepan and bring to boil on medium heat, whisking constantly. After mixture has boiled, remove it from the heat and whisk in the butter. Spread the mixture in a shallow baking pan and cover in plastic wrap, pressing wrap down on top of filling to prevent a skin forming. Place mixture in fridge to cool down. To assemble: Once rolls have cooled completely, burrow a hole in the top of each using your (clean!) finger. 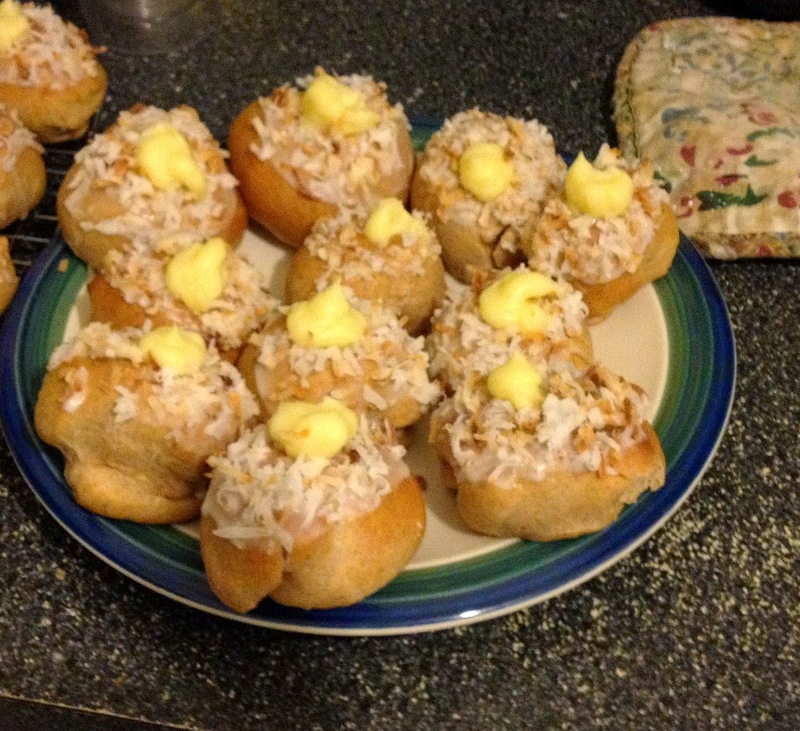 Dip the top of each roll first into the glaze, then into the toasted coconut, rolling around to coat. Fill a pastry bag (or ziploc bag with a snipped corner) with the cooled filling and pipe it into the rolls. Close your eyes, take a bite, and pretend you're in Norway! How did I not know about this treat? It looks delicious and i'm gonna take your word for it that it taste amazing and will be getting one in October when I go! Yum! Yours turned out so pretty! I need to try ASAP! Thanks for sharing the recipe!